The lake shares its parking area with the famous Zugspitze cable car. 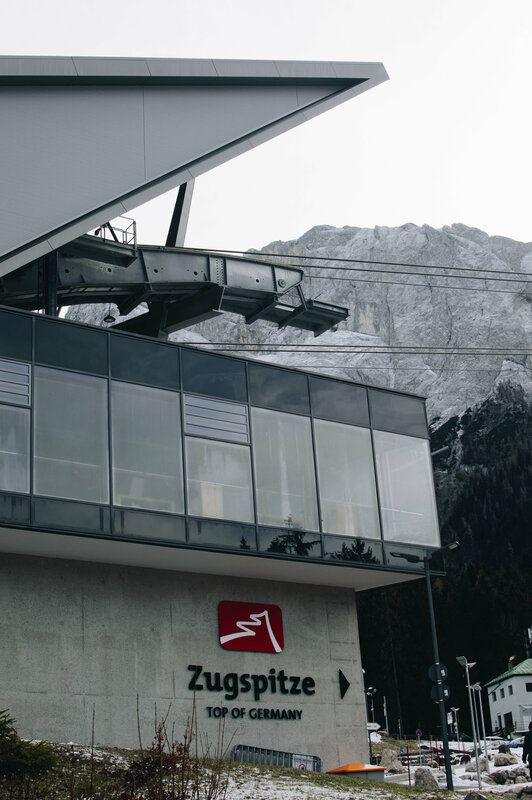 A brand-new cable car that takes you to the top of Germany’s highest mountain. Normally, the cable car would already be operating, as it’s the winter season, but it broke down a few months ago during a rescue exercise. The new one has already arrived but has to be tested very precisely before it is allowed to transport any people. But as this is only the new part of the cable car there are of course other ways to get up, for example the old cable car or the one on the Austrian side of the mountain. Sophie and I have already planned on going up there. Just recently, during one of our blog meetings, we created a list of all the things we want to do in the upcoming months. Since a lot of things came to our minds, we don’t know when exactly we’ll get to go up there yet. But now back to lake Eib. 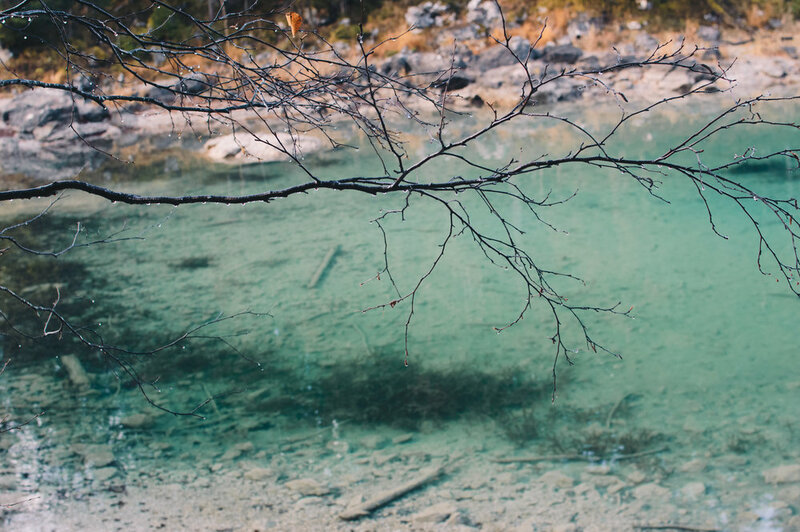 You have probably already seen beautiful pictures of the turquoise-greenish water in which the mountains mirror themselves. I can definitely assure you it is as beautiful as it looks on pictures. But sometimes, there’s also a lot of photoshop behind it, I guess. As soon as you get close enough to the water to see the reflection of the sun, the colours of the water disappear. Only when stepping back you can fully see the amazing range of beautiful colours. The same goes for taking pictures. If you are too close, the water looks just like in every other lake you can imagine, but when stepping back it’s simply amazing. This leads me to my conclusion that most of the pictures you find online have been heavily edited, even if that’s the only way to get the colours looking as close to reality as possible. As I have already mentioned there’s a hotel next to the lake; you can also find a lodge (when we were there it was closed because it was off-season) and of course a beautiful hiking trail. All together, the trail is about 8 km long and definitely worth a visit. You walk through a beautiful scenery of forest and lake and get to enjoy an incredible view of the mountains. The trail is not too challenging and also suitable for kids or people who do not hike that much in general. Afterwards, we went for lunch in Garmisch-Partenkirchen, a town very close to the lake. It is famous for being one of the towns hosting the Four Hills Tournament “Vierschanzentournee”, a world-famous ski jumping event, takes place every year at the end December. This was the perfect end to a very relaxing and enjoyable evening and I can’t wait to visit the lake next time during summer, as I heard you can go swimming there as well. Have you ever been there? If so, tell us in the comments down below, we would love to know all about it!